Today we are lucky enough to have Sarah Peterson from Perfect Keto share three keto friendly desserts with us. These amazing treats are perfect for special occasions like birthdays, Mother's day and any celebration really. My favorite sweet treat is cheese cake, but if I have to choose between these three amazing recipes, I have to choose this divine birthday cake. 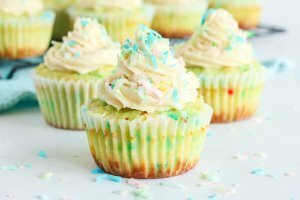 And if you'd like a special birthday cupcake for your little girl, then you check out this low carb vanilla confetti cupcake recipe. Scroll down for her three treats and tips on how to make almost any dessert low carb and keto friendly. If you are on the keto diet, you may have resigned yourself to the fact that dessert is off the menu. After all, sugar is a carb, so you can only have a small amount each day - too much will spike your blood sugar levels and kick you out of ketosis. Not to mention if you want to lose weight on keto then desserts are not your best friends. However, there are actually a ton of keto friendly desserts out there if you are willing to whip them up yourself. It is true that you are better off avoiding store-bought or prepared desserts because these are always chock full of sugar and carbs. However, if you are willing to roll up your sleeves, there is a whole world of keto friendly desserts. And they are all just as tasty as their sugar-filled competitors! So, without further ado, I give you three keto friendly desserts that are perfect for any occasion and will make you feel like you're cheating. Before jumping into specific recipes, I want to cover some of the common ingredient hacks that allow you to make desserts that won’t kick you out of ketosis. You can use these basic principles on lots of recipes, both savory and sweet, to help make carb heavy recipes keto friendly. Master these tricks, and you will be amazed by the kinds of things you can cook without piling on carbs! A great way to make a satisfying, protein-heavy dessert is to use a nut butter to create a creamy topping or filling. One of the great advantages of nut butters is that they are very filling, so you will feel full and satisfied after eating them, yet they are still low carb and high protein. Still, you need to be careful exactly which ones you choose, for example, many stores bought peanut butters are loaded with sugar. Perfect Keto suggest these butters as a healthy choice. Swap standard, carb-heavy flour for a keto friendly replacement. Two popular choices are coconut flour or almond flour. Not only are these low carb, but they are also packed with nutrients absent in plain white flour, so your desserts will be extra healthy - it’s a win-win situation. This is the kicker. To keep in ketosis, you need to avoid too much sugar. Still, it is hard to kick that sweet tooth. A great way around this, something you will see in a lot of keto-friendly recipes, is to use stevia as a replacement sweetener. This is plant-based, so no unnatural chemicals, and still tastes sweet without the sugar (and therefore carb) content. Alternatively, you can also use sweeteners made from monk fruit. This is a decadent place to start and a great example of the way in which keto desserts can be every bit as good as their sugary counterparts. This is a light, fluffy chocolate cake topped off with vanilla buttercream - and all with only five grams of carbs per serving, but a whopping sixty-one grams of fat and ten grams of protein! To achieve this, you will want to use coconut flour instead of regular flour, and stevia to sweeten. Also, the buttermilk topping is made from coconut cream and a vanilla protein powder. Just make sure that the protein powder you use has not got any hidden sugars in it, as that can trip you up and possibly knock you out of ketosis. What is great about this cake is that it feels like something that shouldn’t be allowed on keto - it is so luxurious that it really does feel like cheating. Yet, it is actually low carb, low sugar, and high protein. 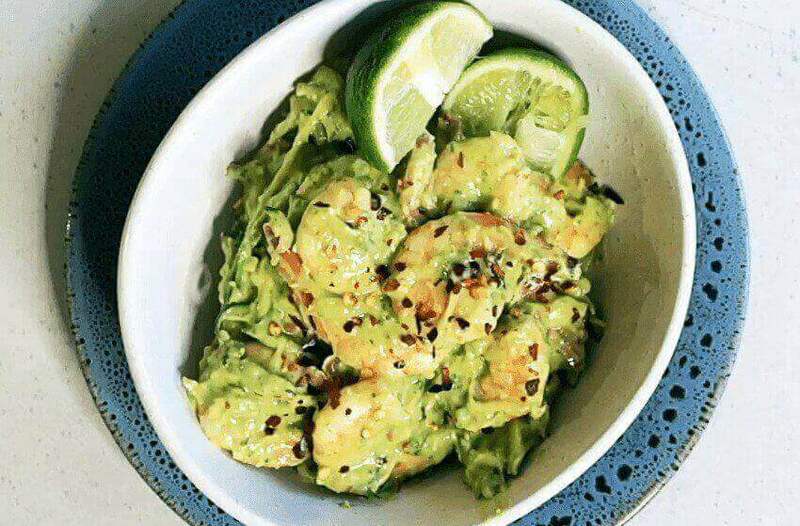 It is proof that the keto diet does not need to be a chore, that with a few clever cooking decisions you can still enjoy all the foods you love. To keep the crust of your cheesecake low carb, the trick is to use flour swapping as I discussed above. A good choice here is almond flour because the slight nuttiness compliments the cheesecake filling beautifully. Also, you can still get a lovely, crumbly texture to your base using almond flour, so you will not even miss the carb-heavy biscuit base of a normal cheesecake! Also, something to watch out for is that the cream cheese you use to make the filling isn’t carrying hidden sugars. Some cream cheeses have added sugar, so make sure you check the label and go for the low sugar option. Finally, what list of desserts is complete without brownies? These use almond flour, unsweetened cocoa, and monk fruit to give you a chocolatey and nutty flavor as well as gooey, soft texture - all with just four grams of carbs per brownie! Also, each brownie contains around six grams of protein, which will help you to hit your daily macros and stay in ketosis. Again, this recipe makes use of carb-light almond flour. It really is amazing how much baking you can make low carb simply by swapping out traditional flours for nut-based ones. Personally, I actually find that the nutty flour improves the taste of brownies as it offsets the sweetness really nicely. At Perfect Keto, we recommend that you add in some of the flavored collagen powder to the recipe too. Not only does this help create a nice, gooey texture, it also gives you all the health benefits that come with collagen. After all, what better way to get some extra nutrients than with a brownie? One last thing that is worth a mention, if your sweet tooth strikes during the day and you just need a little something to satisfy yourself, but don’t need a whole dessert, consider making keto friendly vegan fat bombs. 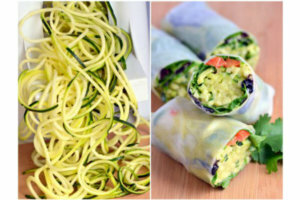 These are great, filling little snacks that will keep the cravings at bay between meal times and help you stay in ketosis by giving your system a hit of healthy fats. You can make all kinds of different flavors as well, so they never get boring. They are the perfect keto-friendly snack. Anyway, there you have it. Three delicious keto desserts that will almost certainly satisfy that dessert craving. Proof that when it comes to keto you can have your cake and eat it! Sarah is a Content Director on Perfect Keto. Perfect Keto’s mission is to make the world a better place by helping people own optimal health, using the ketogenic diet as an entry point.